1.1 How does Autodiscover work? Autodiscover uses the Network Edition features Exchange Activesync (EAS) and Exchange Web Services (EWS) to allow any Mail Client that supports Autodiscover to configure the appropriate Server settings for Communication, so you don’t have to input all the configuration manually. It’s very useful for IT Administrators and for all Users. Autodiscover also uses SSL certificates. For several years, Microsoft has recommended the use of Public domain names for Active Directory domains to avoid the use of non-public TLD like domain.local. 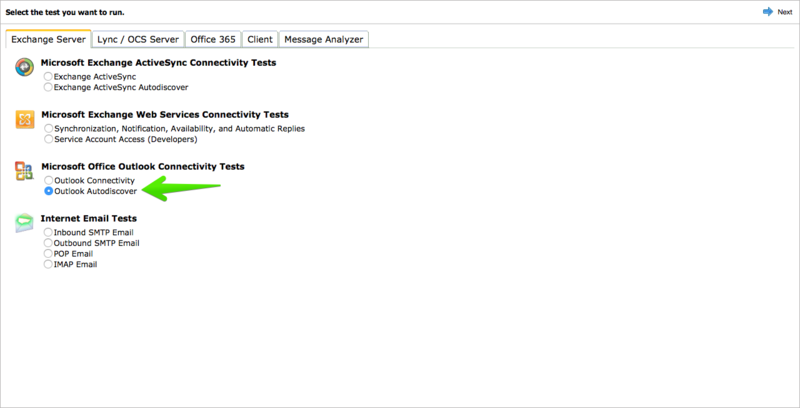 Outlook, or the Mail App, has a few ways to look for domain information when configuring itself based on the user's email address. 4. 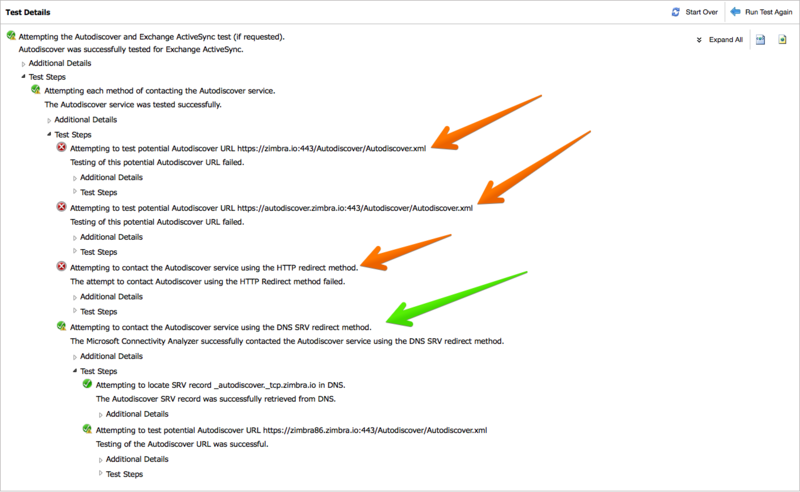 Autodiscover uses the DNS SRV lookup and will get the autodiscover.tcp.example.com that will reply to "mail.example.com"
Autodiscover posts to https://example.com/Autodiscover/Autodiscover.xml. This fails. Autodiscover posts to https://autodiscover.example.com/Autodiscover/Autodiscover.xml. This fails. Autodiscover performs the following redirect check: GET http://autodiscover.example.com/Autodiscover/Autodiscover.xml. This fails. Autodiscover uses DNS SRV lookup for autodiscover.tcp.example.com, and then "mail.example.com" is returned. Outlook asks permission from the user to continue with Autodiscover to post to https://mail.example.com/autodiscover/autodiscover.xml. Autodiscover's POST request is successfully posted to https://mail.example.com/autodiscover/autodiscover.xml. 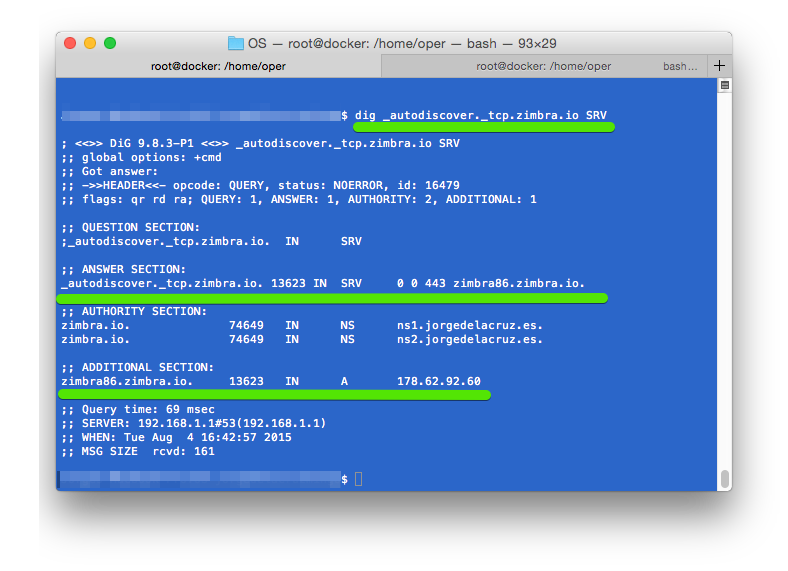 To set the proper DNS, you should have 2 different DNS entries. You can check if you have the proper DNS configuration using the regular DNS tools provided by your Operating System. 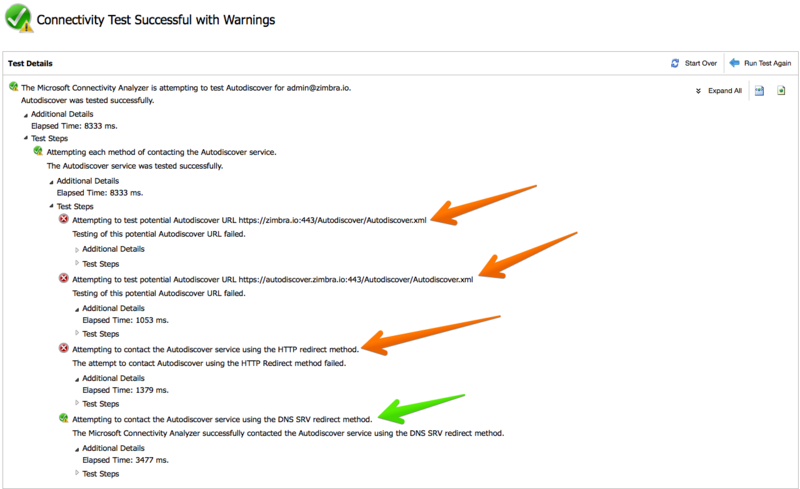 This doesn't necessarily mean that your Autodiscover works in the Zimbra server, but at least you can see if you have properly configured your DNS Server. Important note: You will receive an error if you do not enable the EAS functionality to the account you are testing. Enable the Mobile Sync Feature in the COS. 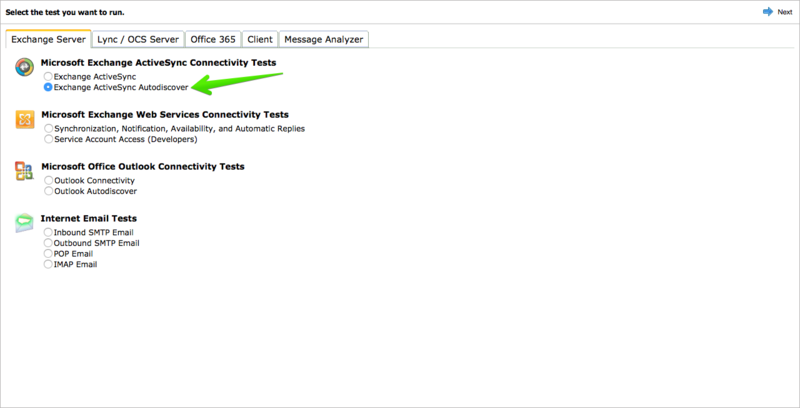 In the next window, use an account where you can login into your Zimbra server to test Autodiscover. Note: Please use a test account that you can delete later, or use an account where you can change the password after this test. First, in example.com I don't have the Zimbra Server, I have my regular Website. Second, because autodiscover.example.com doesn't have the proper SSL certificate. I have a SSL certificate for mail.example.com for example. Third, finally the DNS record is valid, and Outlook can use this method to get the configuration. Important note: You will receive an error if you will not enable the EWS functionality to the account you will test. 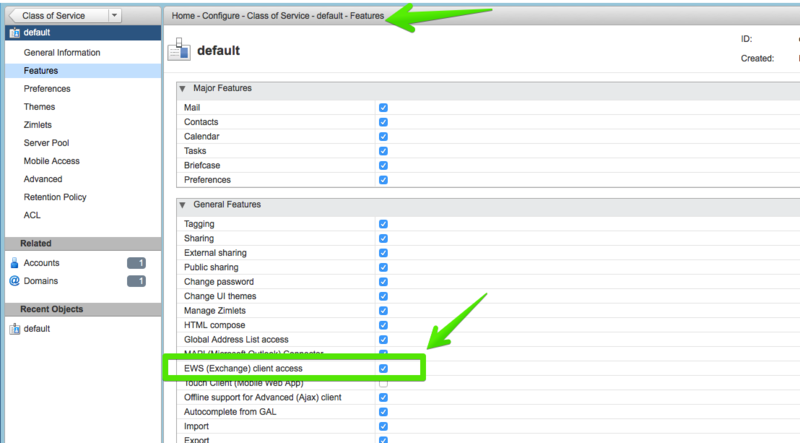 You need to enable EWS Feature in the COS. Important note: EWS only works if you have the Proxy role installed and properly configured. The Zimbra Environment must have a properly configured setting for zimbraPublicServiceHostname at the start in order for Autodiscover to be successfully configured.